Recently, Carothers was co-counsel in the Los Angeles trial of a class action alleging significant meal and rest break violations against a federal contractor in violation of California law. Carothers was selected to take charge of picking a jury and conducting the cross examination of several defense witnesses. Jury selection was problematic, since the client was involved in a business that was totally unfamiliar to most jurors (performing paramilitary/law enforcement work) and very familiar with the requirement that employers allow an uninterrupted meal break. Despite these challenges, a jury was selected and returned a unanimous defense verdict and commented that the direct examination of the defense witnesses was impactful and affected their deliberations. Carothers brings his untiring passion and focus to the courtroom when defending labor and employment related claims brought against his clients. Carothers is an experienced trial attorney having tried more than 75 cases to verdict in jurisdictions throughout California. He has successfully defended employers in more than 50 jury trials against claims of wrongful termination, sexual harassment, breach of contract, ADA, wage and hour violations and discrimination. Carothers has defended clients as lead trial counsel in large complex actions involving representative actions, class actions and coordinated actions involving hundreds of claimants. Carothers is affiliated with well-regarded professional organizations, spanning governmental agencies to local bar diversity initiatives. In 2008, Carothers was appointed by former Gov. Arnold Schwarzenegger as the Commissioner to the Fair Employment and Housing Commission. He has also been a member of the American Board of Trial Advocates (ABOTA) since 2005 and the Federation of Defense and Corporate Counsel since 1999. Carothers has received accolades from Martindale-Hubbell AV-Preeminent rated, Best Lawyers, Litigation - Labor and Employment, 2013, and San Diego Super Lawyers, 2012 & 2013. 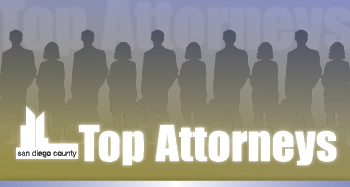 He is a founding participant of Diversity Fellowship Program through the San Diego County Bar Association. Carothers has been of service to his community in San Diego for decades. His service includes past board memberships with Mercy Hospital's Finance Committee, Inner-City Games Foundation, Neighborhood House Association, and San Diego Police Review Board. Carothers provides ongoing pro bono counsel to Inner-City Games Foundation, which was created in response to a growing number of young people nationwide who live in poverty, and face monumental, often negative obstacles in their everyday lives. Carothers served in the U.S. Navy, 1975-79; Awarded the Navy/Marine Corp Expeditionary Medal for services related to Iran. As a college student, Carothers worked with veterans rights groups and was certified to represent veterans dishonorably discharged during the Vietnam War due to drug addiction acquired during service. He successfully represented a number of veterans, many of whom were homeless and penniless and argued to have their dishonorable discharges upgraded to general and honorable discharges after Secretary of Defense Melvin Laird issued a directive that the discharges should be reviewed by a military tribunal. As a result, many of these service members were able to go back to school, receive medical care and participate in the VA Home Loan program, dramatically changing their lives.